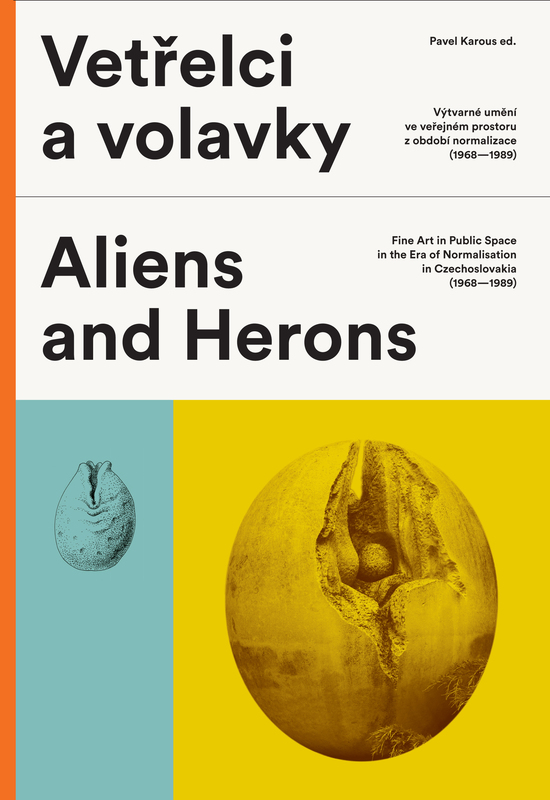 Unrivalled in its scope and ambition, yet firmly grounded in the everyday worlds of postcommunism – and ‘post-postcommunism’ – Pavel Karous’ Aliens and Herons (2014) is perhaps the most significant and moving Czech art project of the 21st century. I am delighted to present it here not only because it speaks to my own interests but because it provides a beautiful and insightful perspective on the politics of history, memory, identity and materiality, which are increasingly key concerns in the fields of International Political Sociology (IPS) and International Relations (IR). Aliens and Herons challenges standard views of what we see when we look at and for (post)communism. In so doing it questions how we deal with the material legacies of painful and problematic, but also complex, pasts and the effects in the present (e.g. Scribner 2003). Debates over the removal of Confederate statues in the US, over the re-use of Nazi-era buildings in Germany or, more recently about the renovation or destruction of the brutalist, communist-era Czech embassy in Berlin are only three of many other possible examples of controversies over such issues. However, in highlighting minor remains (if sometimes major in size) that are neither marquee buildings nor monuments to supposed national or social heroes, Karous project does something different. As a foreigner, first arriving as a tourist in Prague, I wandered blindly past them or, sometimes, wondered, ‘What is that?’. But the longer I lived here the more I learned to look for and appreciate them – to see them. These aliens, herons, triffids, cobwebs, transformers and geometric poems (to list just a few of Karous’ ‘species’) are the mundane historical remains, the small materialities of big history that one walks past on the way from the metro station to the tennis court, that you catch in an right- ward glance when leaving the library, that conjure material intrigue from an unexpected halt in a tram journey, that distract from a visit to the dentist or provide a moment of respite when negotiating the crowd at the farmers’ market or rushing to work. For some – both native and foreign – these objects and designs will only ever be one more ugly ‘communist’ leftover, yet to be cleaned up, or they may be painful reminders of the privations of post-totalitarianism. For others, however, they may also be reminders of the good times that could still be had in tough circumstances, such as those artworks next to playgrounds and schools that serve as mementoes of where childhood – and parenthood – happened in spite of, in opposition to, or ignorance of the regime (see, e.g., Stenning & Hörschelmann, 2008; Tallis, 2013). There are, as ever, multiple memories of and associations with such polysemous objects, and these discussions echo debates over, e.g., communist-era brutalist architecture (e.g. Tallis, 2012). 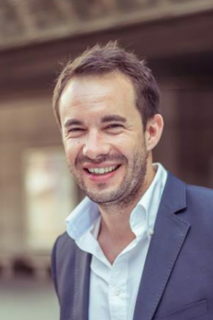 However, Karous’ project is significant not only in recovering the small (although often not in stature) public artefacts that the conditions of art production at the time encouraged, but also in shedding light on those conditions of production and some of the workings of the post-totalitarian Czechoslovak regime after the crushing of the Prague Spring. The law that decreed that between 1 and 4 percent of the budget of any public building project be spent on art and decoration created a huge demand that ‘regime-favoured’ artists alone could not fill. Moreover, those in charge of the commissions, including artists themselves, often used this position to ‘look after’ friends and colleagues who had fallen on hard times, whether for political or other reasons. This massive public art programme thus gave outlets for creativity amidst control as well as showcasing the influence of ideas from elsewhere on what is often, falsely, imagined to have been a closed society. It also showed the significant, yet often overlooked Czech and Slovak contributions to the multiple modernisms on display here that crossed national and ideological boundaries. With humour and humility, but also a keen sense of the profundity (and artistic value) of their undertaking, Karous and the group who contributed to the project have driven yet another nail into the coffin of Milan Kundera’s famous (and desperately ill-judged) description of the communist period as “post cultural” (1984). 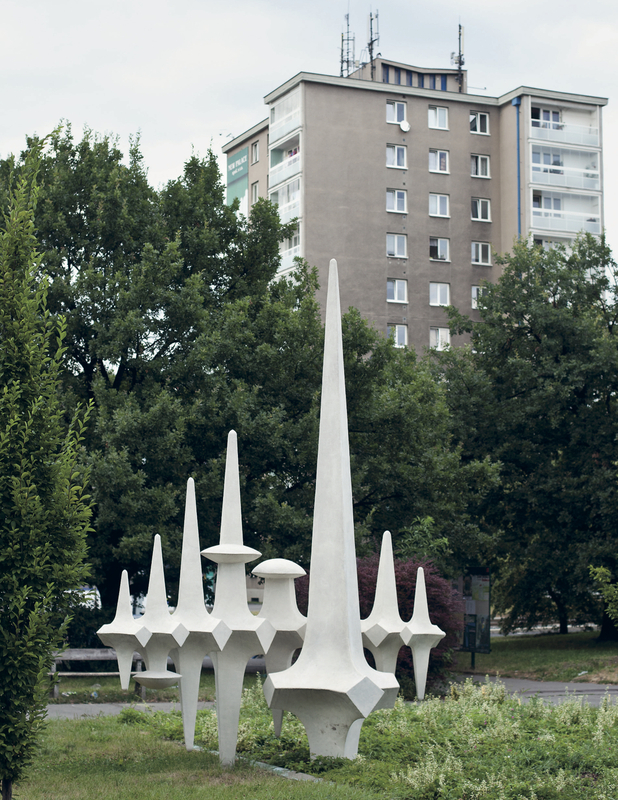 They show the diversity of public art that was produced from the (perhaps) to-be-expected Socialist Realism (SoRela) – albeit in the form of its half-hearted second coming – to a stunning range of sculptural and decorative figuration and abstraction with influences including the work of Henry Moore and the style of the 1958 Brussels Expo. Significantly, this ‘4% art’ was not confined to Prague, Bratislava and the larger cities and towns of the then Czechoslovakia, but was countrywide. Karous’ project has shown the uneven geographies of preservation and restoration, decline and decay of these artworks, but also the potential that they hold as a treasure trove of “the exhausted modern” in his wonderful phrase (2014: 13). Claiming these pieces for the realm of fine art; cataloguing, categorising and describing them in such a subtle and balanced manner and presenting them in the way that Karous and co, have done increases the chances of their preservation and restoration. Being pre- served and restored, but more generally being artistically appreciated would allow them to retain their particularity of time and place while making them feel less out of time and out of place today. It could also help do something similar for the peo- ple who live around them in showing to a wider audience that their surroundings are not merely unwanted leftovers but, rather, that they have distinct socio-cultural value (see also, e.g., Sayer & Gafijczuk, 2013). The public reaction to the project has been telling. There are more than 500 pieces featured in the book but Karous estimates that there are more than 15 000 such works around the Czech Republic and Slovakia. A wildly popular Facebook group with nearly 6 500 members has helped to fill in the gaps and added further testimony to the diversity and quality of artistic production during the infamously oppressive time of ‘normalisation’. Some people will always remain blind – or perhaps blinkered – to the artistic and architectural qualities of the material remains of the communist period but Aliens and Herons has already proved to be a significant act of seeing, and of making these public art pieces visible and indeed valuable. In so doing, it is not only an art project of enormous value and great beauty, but also a socio-political intervention into the politics of memory and their manifestation and effects in the present. All citations should refer to the journal version of the piece that can be downloaded using the link at the beginning of the article. Kundera, Milan (1984), ‘The Tragedy of Central Europe’, New York Review of Books, 26/04/1984: 33–38. Sayer, Derek & Dariusz Gafijczuk (eds.) (2013), The Inhabited Ruins of Central Europe, Basingstoke: Pal- grave Macmillan. Scribner, Charity (2003), Requiem for Communism, Cambridge, MA: MIT Press. Stenning, Alison & Kathrin Hörschelmann (2008), ‘History, Geography and Difference in the Post-socialist World: Or, Do We Still Need Post-Socialism?’ Antipode, 40(2): 312–335. Tallis, Benjamin (2013), ‘Panel Stories: Public Lies & Private Lives in Paneláks and Sídlištěs’ in Vlak 4, Prague: Eqqus Press.